The greater the changes required by new technologies, the author reasons, the more growth may slow in the short run, but once adaptation occurs growth should accelerate. Growth economists are divided on whether the U.S. is facing a period of “secular stagnation” – an extended period of slow economic growth in the coming decades. 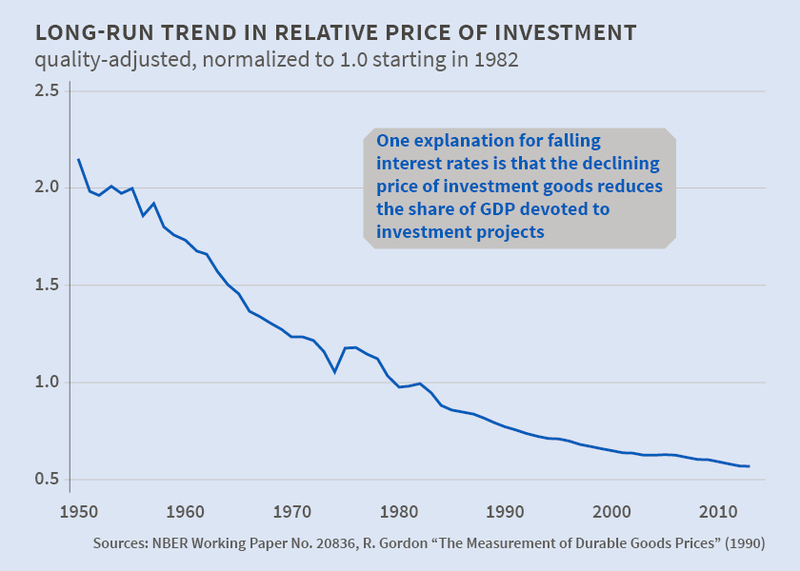 In Secular Stagnation: The Long View (NBER Working Paper No. 20836), Barry Eichengreen considers four factors that could contribute to a persistent period of below-potential output and slow growth: a rise in saving due to the global integration of emerging markets, a decline in the rate of population growth, an absence of attractive investment opportunities, and a drop in the relative price of investment goods. He concludes that a decline in the relative price of investment goods is the most likely contributor to an excess of saving over investment.